After my trip to Portland I was sufficiently annoyed by the lack of the video content available through Zune Software that I purposed to find my own videos from around the net. 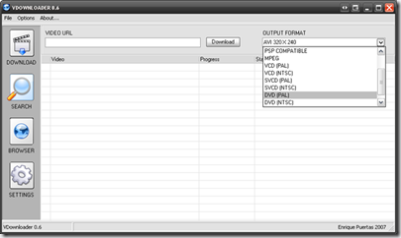 I happened upon this wonderful freeware application called VDownloader. 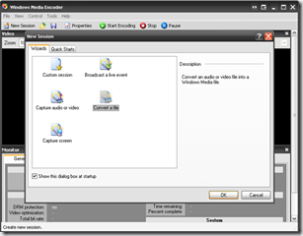 VDownloader allows you to download videos from sites like You Tube, Google Video, and MySpace. 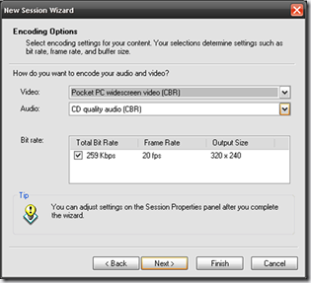 The other application that is necessary to pack the Zune with exciting video is Windows Media Encoder (WME). Whenever I do a search for video or audio conversion WME never seems to appear but this app is free people! Stop spending your hard earned money on converters, Microsoft was kind enough to provide one for us, even though they see fit not talk about it much. 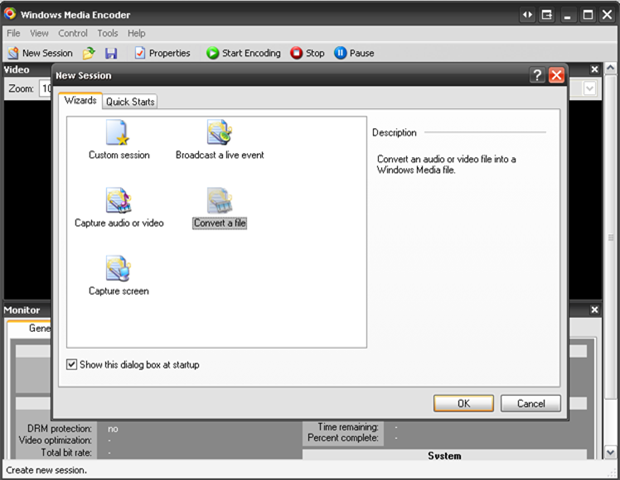 There are couple of steps you need to go through in order to make the video useable to Zune so I will list the steps here. VDownloader can search for, Download and convert the the video straight from any site based on a URL. VDownloader converts to several codec formats, however, I ended up converting it DVD (PAL), which is still useless for the Zune but it is a start. What is annoying is that AVI is useable in Windows Media Player but not in the Zune ... why!! There is a registry hack that apparently allows AVI to be available to Zune software but I could not get it to work. After you have downloaded the video in the DVD (PAL) format we can start the business of conversion. 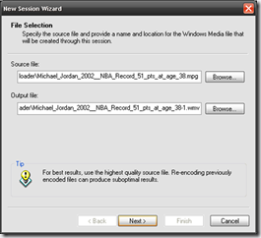 Start WME and choose 'Convert a file' from the Wizard and click OK. Select the source file that you want to convert and hit next. 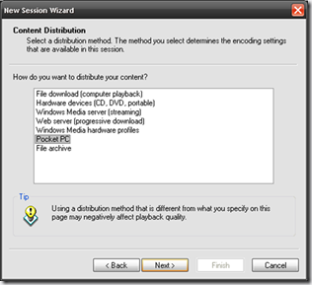 In the Content Distribution page select the Pocket PC option and click next. This will subsequently give us Encoding Options page that will give us the Video options that are compatible with the Zune. 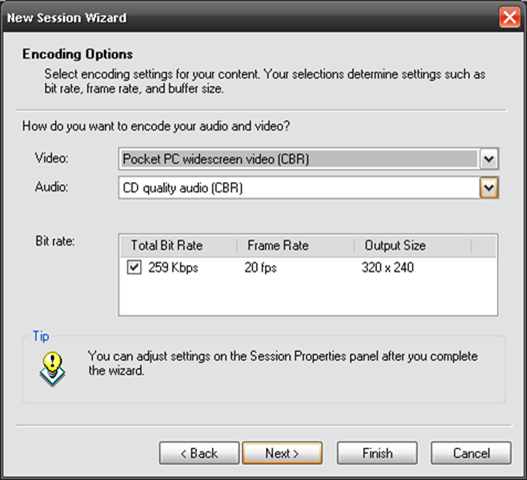 Select 'Pocket PC widescreen video (CBR) which will format the video for your Zune. Click Finish and you should be good to go! 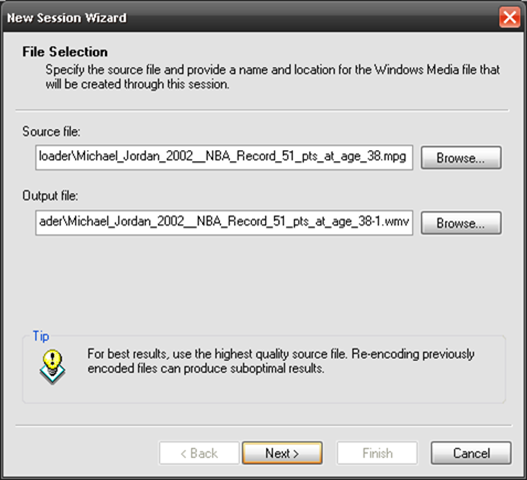 Place the video in a folder that the Zune is monitoring and synchronize. NOTE: I respect the intellectual property rights of all artists, please do the same. The major sites are very careful about taking down videos that they are not entitled to. However, I am really careful about the videos I download, I do my best to ensure that they are considered public domain.